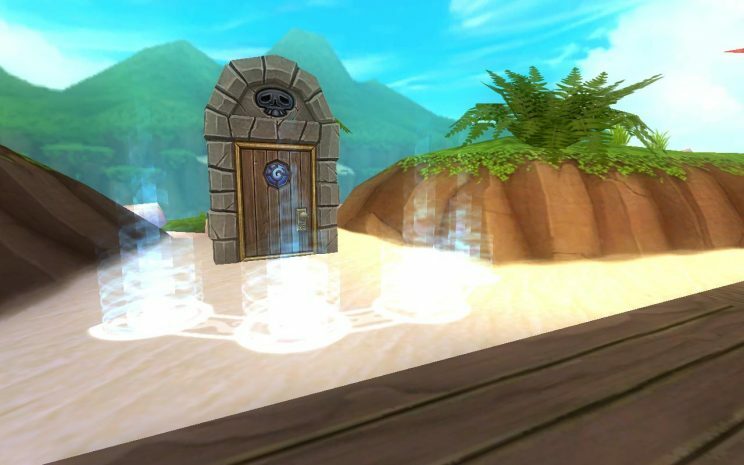 Pirate101 test realm just went live. While the update may not hold the widely anticipated new world or main storyline quests. We definitely got a lot to do until the already announced end of year part 2 update will come, with a little hint at a new level cap of 75! The update notes were taken down to update with more information. When it is available we will update this article with the link to it. Skeleton Key Bosses (4 in total) with new unique boss exclusive lvl 70 gear! Bug Fixes on interactions, quests, companions and more! Quality of life elixirs for Bag, Bank and FRIENDS LIST!?! Space! There are 4 new Skeleton key bosses. In order to enter these unique and new powerful boss battles with special cheats and win conditions. You must have an “Obsidian Key” in your backpack. Obsidian keys (currently with the information we have) are dropped only from mobs level 50+. All bosses are in the same sigil at Scrimshaw Docks, so pick wisely! Each fight has their own unique cheats and wins conditions. We will release guides and strategies to farm them alongside drops in future guides, so stay tuned! 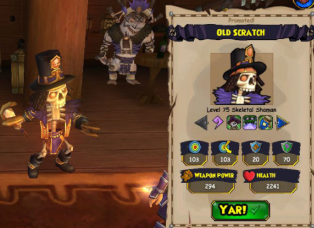 Old Scratch is now becoming a Shaman! In order to start the quest, he must be lvl 70. Talk to him in any nearby tavern. You must have Scratch at lvl 70 and begin his quest in order to enter any of the new Skeleton Key boss fights, you may teleport into the instances though through a friend, however. This definitely will increase his power in terms of being a high priority pick in PVP. Super excited to see how he shakes up the meta! Also if you look closely on this official KI image you will notice Old Scratch is level 75 and Hawkules hammer is upgraded!!! Possible story additions coming at the end of year update confirmed from Falmea newsletter, possibly!?! It costs a total of 15,000 crowns a Pirate to max out all elixirs. Or for those hardy hard pirates out there with every class maxed, a whopping 75,000 crowns! That’s an equivalent of 90$ (when on the normal 60k sale) or 80$ when the special bulk purchase reward specials are available. Pirate101 will finally be getting member benefits. This is amazing news as prior to this you had no real reason other than the extra 40 bag space and friends list space to really purchase it. Actually, most players before this solely used crowns for the game majority of the time. So what are the awesome new benefits coming to the game!? So ¾ are really good. While Miracle Mitch won’t be that useful for more experienced pirates, it definitely will help those struggling on their first of the game. Of course, some minor changes that for most don’t really impact the game much. But more the merrier, right? Previous#MikeChat – #1v1Luau, Summer Test Realm, LoL?